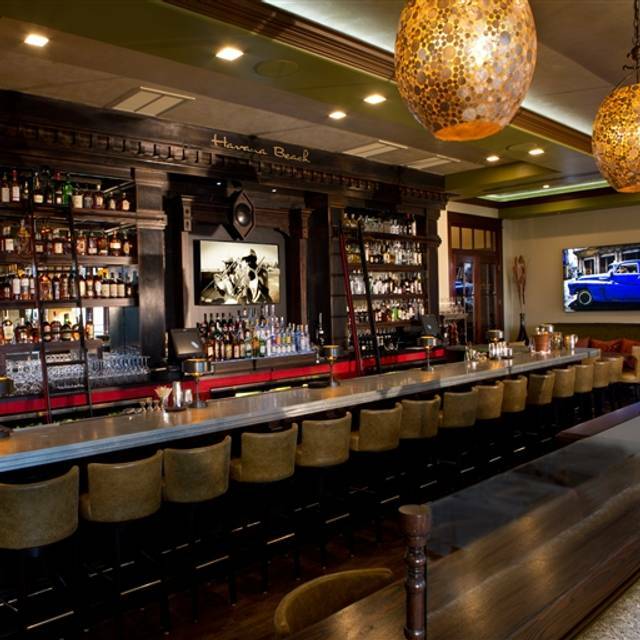 Inspired by El Floridita, Hemingway’s favorite haunt in old-town Havana, The Pearl Hotel's signature restaurant offers a comfortable, communal ambiance full of life and steeped in the joy of living, eating and drinking well. 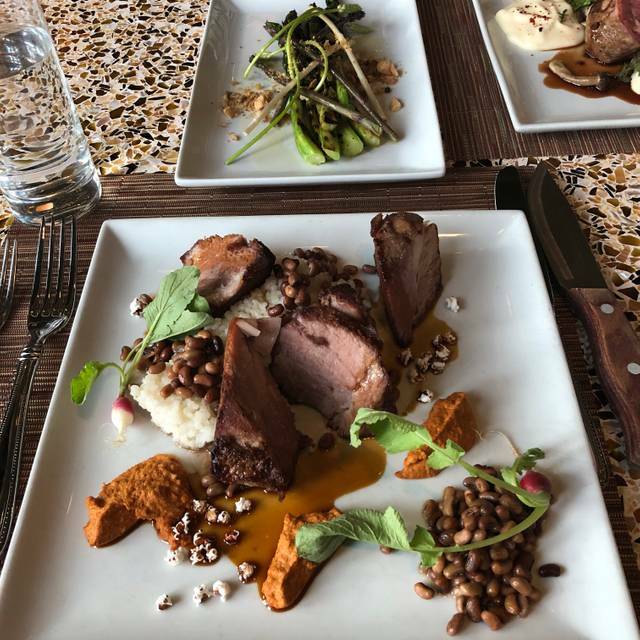 Enjoy Gulf Coast Americana cuisine with Caribbean influences that is also seamlessly merged with a contemporary local philosophy as meats, fish and produce are harvested from family-owned, small-producers on the Gulf Coast. Havana Beach Bar & Grill is open for breakfast, lunch and dinner daily. Dinner reservations are recommended. 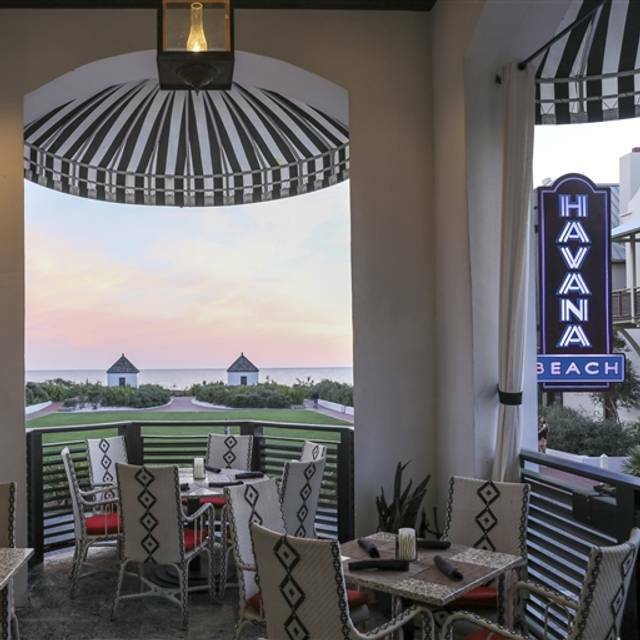 Havana Beach Bar & Grill offers private dining opportunities for groups of 30 - 120. 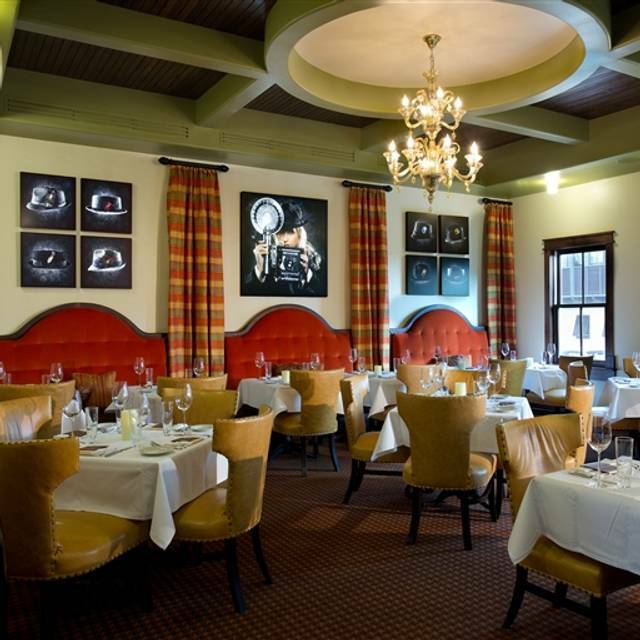 Our intimate Hat Room is host to smaller groups, with the possibility of a buy-out of the entire restaurant for larger functions. On-site Private Event Managers are available for private event booking details. This place is very cool!!! 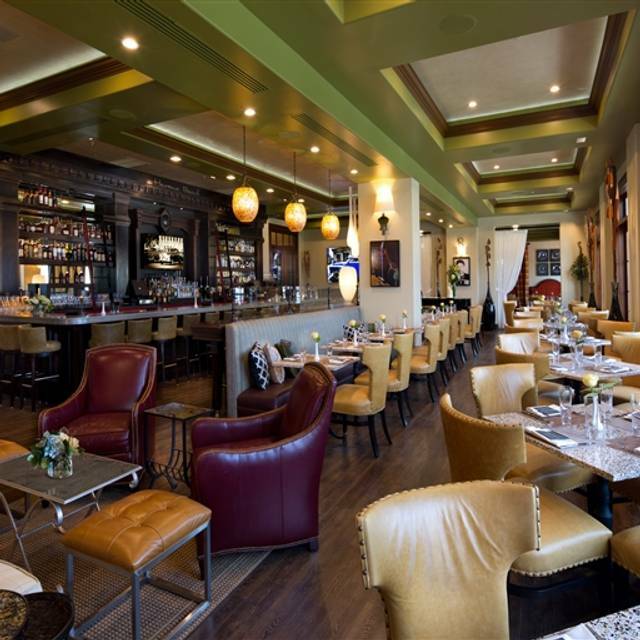 The atmosphere and design of the restaurant is French Colonial via Havana. Food is good. I don’t drink today but the bar looks like a place I would. Wine and drinks list is excellent!! Enjoyed a beautiful brunch meal at the Pearl. Great food and great value for the 30A area. We have dined here several times in the past and had excellent service and food. However, this trip was a huge disappointment. We had to send our soup back and the shrimp dish was nothing but grease. In addition to the poor quality of food , our server was terrible. Reached over plates, coughed numerous times while serving us and was just annoying. For the price point there are many, much better restaurant choices in the area. We will not dine there again. Really nice ambiance outside in December, heated outside with good breeze! Also, really good service and food. The mimosas and burger on the lunch menu were standouts, although the other dishes were great as well. This restaurant was a highlight of the trip for my dad, for sure! Service was very solid. Food was ok though one course didn’t make it from the kitchen as it was relayed it was overcooled before making it to our table. Recook was way very undercooked. It was obvious the waiter was embarrassed for the kitchen and we got conp’d that entree though not what we were looking for. Great “looking” place but missing some key aspects to be considered a foodie spot. The service was the best. Relaxed atmosphere and the pace of the meal was very European. We had the table for as long as we wanted and everyone was polite, engaging, and knowledgeable about the food. Service was excellent, friendly staff, fabulous cocktails!!! Absolutely the best experience I have had in a long time. Unbelievable creativity, ambience and attention to detail. Superb service. Well-educated wait staff. Perfect timing on food course delivery. We will be back. Great for a special meal at the beach! The lamb was the best ever. Would order it again without hesitation. The food was absolutely fantastic! Our server, Summer, was always there when needed. She made some drink suggestions that were right on. It was a great night! It was a great way for my wife and I to get out of Panama City home and wow great night out after the hurricane. Thank you!! Summer was amazing! So attentive! Disappointed this time - music was so loud it was impossible to talk, food was just OK. Overcrowded. Not enjoyable at all. Food was outstanding! Ordered the Havana Salad, Gambas al Ajillo, Spanish Octopus, and Sous Vide Wagyu Beef with the short rib option...can’t stress enough how delicious everything was. The Old Fashion was one of the best my husband has ever had and he has has plenty! Opt for the Angel Envy bourbon if available. The ambiance was cool and eclectic. There was live piano music since it was a Friday (available Thu-Sun). Lastly our server was well informed with great advice and super nice. He even comp’ed our dessert because he found out we evacuated SC due to Hurricane Florence. We’ll be back! It was a wonderful evening. We dined outdoors with a cool breeze. Waiter was attentive and food was wonderful. I had already recommended it to a friend because of a previous visit. Would definitely recommend again. Food was excellent. The kitchen was extremely backed up and it took an hour to get our food. It was worth the wait however. The wait staff was apologetic. I think we went on an off night. I'd recommend going. Always enjoy our visits to Havana Beach Grill. The atmosphere is among the best on 30A. The food is creatively coastal but somewhat limited. They have an expensive cocktail menu and their wine list is well curated but pricier than others on 30A. Superb service is a given. Enjoyed the piano bar while sitting inside, as we normally sit on the patio, outside. One of our favorites whenever we visit Rosemary Beach. It was our 20 year anniversary. 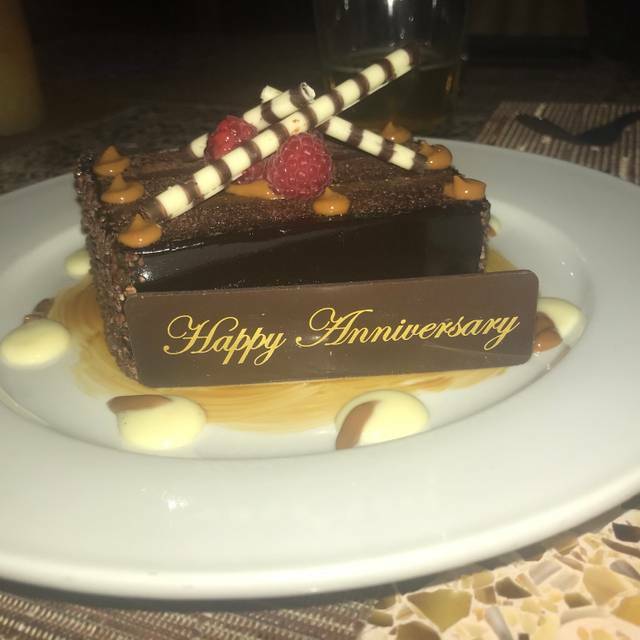 We ordered dessert and it had a happy anniversary banner an was complimentary. I would definitely go again! The atmosphere was awesome. The food was okay. The service was awful. 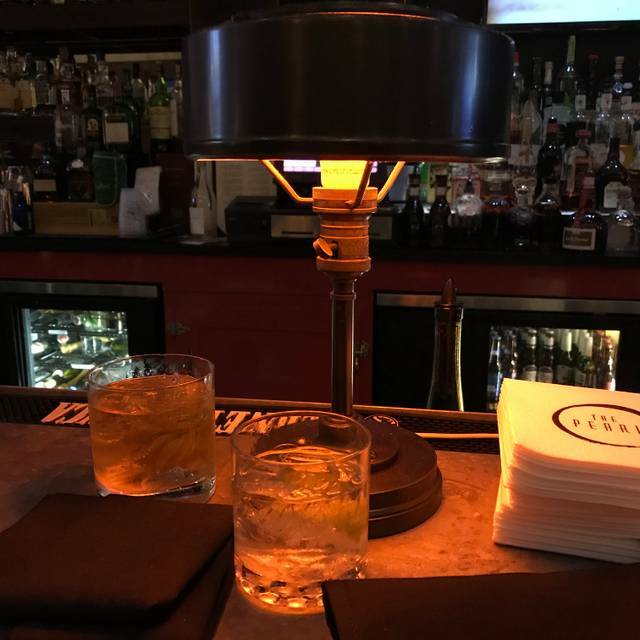 My husband, friend, and I tried Havana Beach at The Pearl based on recommendations. Wow! Are we glad we listened as it did not disappoint. We had a wonderful table outside and since we were there during an off week and the reservation was at 6, we enjoyed the area to ourselves for a good hour. My friend and I had the Wagyu filet and changed up the sides based on our preference and our server's suggestion. My husband had the special. The food was spectacular! Even more impressive was our server, Summer. She was outstanding from the very beginning. She was very attentive but not over the top too much, extremely friendly, helpful and efficient. She had an excellent wine recommendation which paired with our entrees perfectly. Not to mention she sold us on the cucumber mint martini which was the perfect way to start the evening. We all said that Summer made the experience top notch. If you appreciate great service as much as we do then definitely ask for her when you make a reservation. Seems like the menu is in transition. Service was excellent. The a/c was out but dinner was delicious. Food and service was great. Noise level was too loud. Was a damper on an otherwise nice dinner. Great food, friendly, professional staff. Very loud and energetic dining room. The live music was so loud it was hard to hear table conversation. Wine prices are very high, around 200% markup and pay attention to the vintage delivered to your table, it may be wrong. The food and atmosphere were good. It was very warm inside the restaurant. I would definitely go and try again . The Crispy chicken thigh small plate was delicious. Staff is very energized with new #1 ranking for Florida hotels, improved culinary quality of resturant, etc. But, on this most recent visit, the new menu seemed limited in appeal (at least to us). And getting our food out of the kitchen to to our table took a LONG time (over an hour), which was very frustrating. We have eaten at this restaurant on multiple occasions, and this has occurred numerous times. In some cases, the manager came over and apologized. In several others - not a peep. Overall, the place does seem to have improved. But, at least basd on our experiences there, it has difficulty with getting food out on time. And similar awkwardness and difficulty in addressing it with its customers. We were greeted warmly and seated promptly upon our arrival at Havana Beach. We were given the window seat we had requested, which had a view of the bustling outdoor area surrounding the restaurant with the sea in the far distance. Denis, our waiter, was efficient and personal, providing outstanding service. We enjoyed a bottle of wine with our meal, which was iced at tableside and served throughout our dinner. Our shared appetizer, the Market Toast, was the star of the meal . . . creative and delicious! Our entrees (the grouper, the octopus, and the scallops) were well plated and very good. I would say the grouper was somewhat underwhelming in terms of flavor, however. We finished our meal by sharing the toffee pudding for dessert, a perfect and delicious conclusion. Denis brought us crispy rice treats wrapped in individual bags as take-home snacks, which was a nice touch as well. They, too, were very good. The only negative aspect of the evening occurred when we returned to the restaurant to finish drinks that we had ordered at the rooftop bar after our meal. A lightning storm required the evacuation of the rooftop area shortly after our after-dinner drinks were served, and we were told by the staff upstairs that we could sit in the indoor bar area inside the restaurant downstairs to finish our drinks. We had read online that there was a piano bar-type area there. The host and manager, both of whom had been quite friendly to us earlier, looked at us like we were making an inappropriate and odd request. They let us enter, but they made us feel somewhat stupid, explaining that there was a piano in the bar but that no one was playing, making their previous friendly treatment of us appear disingenuous. It was disappointing to end our evening on a negative note; we had enjoyed an excellent meal and a positive experience until that point. Havana was a great place to have a date while we were on vacation. It was very upscale but also relaxed. The service was excellent and the food was delicious!! We were sat by the piano and it was way to loud to hold. Primal conversations. We would have to wait 15 mins at a time for water refills. Besides that, the ambiance is incredible and the food is fantastic. We made this reservation far in advance because we knew they would be busy. We've been to this restaurant many times. I requested a table in the main dining room as opposed to the back room behind a wall near the busy kitchen. I also called to confirm my reservation and the person who answered the phone said he had a lovely table for my group in the window of main dining room as requested. Upon arrival the hostess escorted us to the very back to the worst table in the restaurant in my opinion, directly by the kitchen busing station. We passed by a lovely table for four in the main dining room in the window that was vacant. At that point I asked the hostess why we couldn't have the table we requested. She strangely said, "I was going to give the table to another group but they had no special request and since you did I guess you can have it". Huh? And when I was questioning her about the mix up she said "you need to calm down". Who says that to the customer? Maybe she was frazzled but at a restaurant of this caliber the hostess needs to keep it together. The bottom line was they were not organized which I don't think should be taken out on the customer.